Scroll through the testimonials or click on one of the topics below to see those specific patient testimonials. I came in to see Dr. Swolensky because I was suffering from weak legs and sore joints. In about 3-4 weeks I noticed my leg pain dramatically decreased and my legs are stronger. I have gained so much knowledge about how to help myself. My bowling game has improved since seeing Dr. Swolensky. I came into Dr. Swolensky’s office because I had pain in my back, hips and legs. As well as numbness in my hands and feet. After the third visit I was feeling better. This in unlike any other experience I’ve had in a chiropractic office. I came into the office becuase I was suffering from upper, lower and mid-back pain. It was sharp and I felt it all the time. In about two weeks the pain was gone. I started seeing Dr. Swolensky because of neck pain, back pain and problems sleeping. I feel 100% better and it only took two weeks. He has a great staff and atmosphere. By the way, every year I get sick around winter time. This year I happy to say that since seeing him, I haven’t gotten sick. I was referred to Dr. Swolensky by primary care physician because I woke up each morning hurtin all over. I could barely move and walk without pain in my back, hips, neck and shoulders. I hurt all day at work and would take between 600-1200mg of Ibuprofen depending on the severity of soreness and pain. After only 10 treatments I have fewer bad days, I feel better and can move much better. My pain went from 8 to 1. I now have hope and my quality of life is improving day by day. I starting seeing Dr. Swolensky because of a sore shoulder and neck pain. Within one week I noticed results and I can sleep better with more restful. I recommend everyone that will listen to see Dr. Swolensky. I have learned so much about my body thanks to him. He is an inspiration to our better health and overall being. I had a herniated disc due to an injury when I was lifting a Christmas tree. Immediately after Dr. Swolensky recommended spinal decompression. I didn’t follow his initial recommendation because I thought it was too expensive. However, one day at work I fell and was taken to the emergency room. I was bed ridden, out of work and couldn’t even take care of myself. The ER doctor referred me to my PCP who stated I should just be on bed rest and that these problems would take care of themselves. That is when I decided I had to follow Dr. Swolensly’s recommendations. After the 4th treatment on the DRX-9000 I was able to walk and move without pain. The expenditure for the DRX-9000 was more than worth it. After all good health is priceless. I was a Type II Diabetic when I started Dr. Swolensky’s nutritional program called enzyme replacement therapy. I began the program 1 year ago and have lost 37 lbs. Last week when I had my 3 month visit with my primary care physician, I was informed I’m no longer diabetic. I personally recommend Dr. Swolensky to anybody for excellent results. I have suffered from constant pain, headaches, fatigue, brain fog, fibromyalgia, muscle weakness, inconsistent sleep and gained weight every year. It was so bad I wasn’t able to climb stairs. I had seen Dr. Swolensky 7 years earlier and experienced great results. But I stopped. Over the course of those 7 years, I was prescribed many different medications. I still merely got worse and worse. I decided to see Dr. Swolensky again. Boy I’m glad I did. In a short time my pain is much less. My focus is better, my immune system seems to be stronger. Sleep is getting better and is more restful. My headaches are gone! I feel that I have found the path to regain my health completely. I have been having migraine-type headaches for years. My family doctor recommended Dr. Swolensky, as he felt Dr. Swolensky could help these headaches and that I could avoid medications. I’ve had two treatments and the range of motion in my neck is greatly improved. The headaches decreased after one one treatment and I’m very impressed by that. Everyone in the office is very kind and understanding. It has been a very positive experience and I look forward to coming in and getting better and better. I was recommended to Dr. Swolensky by my primary care doctor because of head, neck and shoulder pain. It affected my concentration daily both at work and at home. I tried to ignore it and forget about it, but it was always there and became my primary focus each and every day. The pain has reduced dramatically, I can focus and concentrateand don’t think about it. Since seeing him, I’m happier, less anxious, reduced stress and my focus is on more important things. the changes without medications is fantastic! I was recommended by a friend to Dr. Swolensky. I came in with severe left elbow pain and severe neck pain. I was completely unable to continue upper body training or any paddle sports. In a short time my elbow pain has been 75% reduced and my neck feels much better. My jaw has hurt and not felt right for years. I was told I had TMJ and needed surgery. I started seeing Dr. Swolensky after a few treatments my jaw is aligned. Seems very strange to finally have my teeth line up!! I came to see Dr. Swolensky after looking on the internet for a natural solution to my herniated disc. I saw an orthopedist that after two minutes prescribed a few medications and said I needed low back injections. I’m in my early 20s and yet I was always in pain, couldn’t sleep comfortably, always in a bad mood and constantly complained. Since seeing Dr. Swolensky I can sleep better, am in much less pain and don’t complain as much. I feel I’m healing instead of just covering up the pain. I started seeing Dr. Swolensky because I was suffering from constant headaches and constipation. Sometimes I went a fill 2 weeks without going. I got results immediately after starting care. I’ve been seeing him for only two weeks and have only had 1 headaches since starting care and I’m going to the bathroom regularly. I have learned a lot about the body and health. Getting regular adjustments is very relaxing and I look forward to them. I just started using the prescribed Footlevelers’ orthotics from Dr. Swolensky and immediately I find myself walking without pain. It’s amazing. I starting seeing Dr. Swolensky because I was referred by my medical doctor who was having limited success in helping me. I awoke each morning hurting all over. My normal pain level was 8 out of 10. I could barely move or walk. The pain was in my back, hips, neck and shoulders. I took 600-1200mgs of Ibuprofen everyday just to function. I’ve only seen him 10 times to date and already have significantly fewer “Bad Days”. My new normal pain level is 1-2 out of 10 and I see that getting better everyday. I feel better, move better, have less pain and I’m ready to start an exercise program. I the best thing I can say since starting to see Dr.Swolensky is that I finally have HOPE! My quality of life is improving day by day! I started seeing Dr. Swolensky because I couldn’t turn my head in any direction, I couldn’t sleep and it hurt laying down. I been trying other options and they weren’t working. In only a few visits I’m sleeping much better & through the night, my pain has decreased and I can turn my neck. It’s nice being more alert and not so tired and foggy. I just started Dr. Swolensky’s nutritional program becuase I’ve been losing hair, have had low energy and skin problems. In a very short time I’ve already noticed that my hair loss has improved, I not losing it like I did when washing and brushing. My overall energy has improved and those long pushed to the side projects are getting done. I was referred to Dr. Swolensky by my PCP. I’ve been going to a physical therapist for the last two weeks prior to seeing the doctor. After just one treatment with Dr. Swolensky it was 100% more helpful than all the PT visits. I just attended Dr. Swolensky’s first “Stretch for Life” workshop. The program was 30 minutes of tests to measure flexibility, explanation of why flexibility is so important and the actual stretches to perform. I felt an immediate increased range of motion. The increase in flexibility in my lower back and and neck is amazing. I had an enormous amount of pain in my legs and feet. It was so bad I had a very hard time walking. I was referred to Dr. Swolensky by my medical doctor and frankly thought how would a chiropractor be able to help my feet. Boy did I learn. I am walking and running without pain. I feel better and better everyday and I have my quality of life back. I decided to see Dr. Swolensky after being highly recommended by a friend who had fantastic results. I have a degenerated disc, which affected every part of my life. Simply saying, I was miserable. Dr. Swolensky recommended the DRX-9000. I am also half way through my program and I feel renewed. I am extremely happy! I’m a manager at Olive garden and have 110 employees. I am directly responsible for tons of guests and pain made me want to crawl into a hole. I was in pain EVERYDAY and felt depressed and miserable. I suffered with migraines, neck pain and lower back pain. It was so hard to be happy with people when you constantly don’t feel well. Since seeing Dr. Swolensky I don’t have lower back pain, neck pain or the migraines. My whole life has changed! Now I can deal with life and my job with a big smile! JoAnne’s experience in our office. What JoAnne recommends to people with Chronic Low back pain, sciatica, or symptoms down into the leg(s). Suffering from Headaches? Then check this out! I hurt my back in January and had sciatica in both legs. I initially saw a different doctor for three weeks. After a lot of continued discomfort and a cruise I decided not to return to the other doctor. I was feeling a little better after the cruise and hoped the problem would go away on it’s own. Well, in fact, it got worse. I was having trouble walking and came close to falling at work. I decided to see Dr. Swolensky, who I might add I’d seen five years earlier for a car accident. The pain was so bad I wasn’t able to bend to dry off after showering, I was unable to do household chores and most importantly I’m my husband’s caregiver as he goes through chemotherapy. After the first treatment with the ProAdjuster, I felt less ‘pinch’ in the sciatica. I was also able to move around much better. After two weeks, I was moving very well and had none of the pain. The adjustments with Dr. Swolensky are quick and painless, and I am glad to say it has helped me regain my mobility. I had a failed spinal fusion resulting in heavy narcotic use for pain control. The medications were no longer effective and I was afraid the meds would eventually kill me. I couldn’t sleep. I couldn’t shop. Since seeing Dr. Swolensky I went shopping for the first time in 2 years. I started seeing Dr. Swolensky because of neck and back problems. I had heard very good things about him so I thought I give it a try. This is the best I’ve felt in a very long time and I’m Pain-Free – HURRAY! For a year and a half, I had lower left back pain and right shoulder pain. It seemed to bother me whenever I was sleeping, working, driving a long distance, and walking. Sometimes I would just go in the house and try to sit in the most comfortable position I could find until the pain would go away. Vacuuming the house, mowing the lawn, walking 1 mile every morning, digging the yard, made me feel I was 100 years old and not 65 anymore. I can say my back problem is gone. I had all kinds of pain in my legs, knees and lower back. My M.D. had me in physical therapy for quite awhile because I wasn’t willing to get surgery. I tried Dr. Swolensky’s non-surgical disc decompression treatment. As a result, I don’t have any pain and I don’t think I could be any better! I had constant lower back pain, leg numbness and couldn’t sleep. I also had testical pain for 10 years. I was afraid of surgery with it’s low chance of real success, let alone the rehab time after surgery. After seeing Dr. Swolensky and following his recommendations, I sleep, my mind is clearer, back pain is gone and leg numbness is gone. I saw Dr. Swolensky after a referral from a different chiropractor. I’ve had back pain on and off for years and in spite of been recommended surgery by many of my recent doctors I refused. It’s because I have seen so many bad surgeries in my own family, both my Dad and brother. The back pain lately has been bad, but the leg pain has been horrible. It kept me from walking. I could only find comfort lying on my back. I couldn’t walk more than 3 steps when I first came to see the doctor and my whole leg was numb. That has all changed. No more pain. Numbness is gone. I feel so good, I back playing competitive racquetball. In fact, I plan on turning pro in 15 months. My back pain was so bad I’ve been a 10/10 for years. After seeing Dr. Swolensky for less than one month I’m 1/10. I started seeing Dr. Swolensky because nothing was helping my headaches, neck pain or low back pain. I couldn’t move without pain. As a commissioned salesmen, I need to be on my feet just about all day. But, too much time in any position standing or sitting, was terrible. Since seeing Dr. Swolensky I don’t have to take breaks at work, which means increased sales. I can move my neck without severe pain. I am finally able to enjoy going out and doing things. I’m much more friendly and happy! On February 12, 2002, my left hip and the left side of my groin had been painful for at least 6 to 8 months, and now, even sleep was difficult. During the day, the pain was frequently so severe that it affected the way I performed my job. I had been having hip pain for along time prior to mid 2001, but it would come and go. I knew I was strong enough to overcome it with exercise and pain medication. Oh boy, was I wrong! I had thoughts about surgery, recovery and rehabilitation. It is a long process and no guarantee exists to say I would get relief. While reading the local paper, I saw an ad for Dr. Darrell Swolensky, Chiropractic Physician. His office was close by and the ad was enticing. Having already thought about possible alternatives, and not liking those thoughts, I gave Dr. Swolensky a call. My appointment was set for February 13. The office was clean and the staff was friendly. I filled out some paperwork and was seen by Dr. Swolensky. He asked me questions about my problems, showed me some videotapes and then verbally tested me on what I had seen. O.K., so far it was totally different from a regular Doctor visit. Dr. Swolensky shared his thoughts about Chiropractic with me, then sought my understanding about the process. He explained how subluxations keep the nervous system from performing properly, allowing for degeneration to occur within the body. After sharing our views, Dr. Swolensky took x-rays of my spine and did a non invasive study of my spinal subluxations. Dr. Swolensky explained the results of the subluxation testing, and, of course, the results weren’t good. It is about what I expected. He was explaining why I must come in for treatment. It sounded like a sales pitch, except the things he said made sense. I know a little about how the body is supposed to work, and could not disagree with what he was sharing with me. After the first adjustment, it didn’t hurt, but was somewhat uncomfortable for a very short time. I left after making a follow up appointment and went home. After dinner, I was sitting in my comfortable chair when my lower back near my left buttock had a spasm. It felt like something was crawling under my skin. It didn’t last long, but later, when I got up from the chair, there was noticeably less pain in my hip. Truly, I was amazed! I had been in severe pain for months and was better after the first visit. Why had I waited so long? The x-rays were what I expected. My back needed intensive care. Dr. Swolensky counseled with me and we agreed on a long-term solution. I want good health. I come from a line of long-lived people. With my longevity I want as much of a pain free life as I can get! I have been in Dr. Swolensky’s Chiropractic care for 2 months now. My friends have remarked how much more relaxed I seem. I can sit, walk, stand and move with only occasional pain. I went hiking in the mountains on April 14, and am planning many more hikes and possibly a short backpack trip this summer. I will be having many more appointments with Dr. Swolensky. I feel too good not to. For approximately the last 9 or 10 years, I have had severe back pains and neck pains. Since I have osteoporosis and was told by other doctors that I should not have chiropractic care, I felt I was reaching the end of the rope and knew that something had to be done about the pain. The base of my skull, while sneezing or coughing, would hurt so bad that I had to put pressure with my hands in that area and at times when awakening would actually have to use both hands to move my head as I could sit up. My sciatica nerve was just as bad as I feared I would become crippled for life. Also, I was having severe pain in my hips. Since I have been under chiropractic care with Dr. Swolensky I feel so much better. The pain is not totally gone but it is bearable and I intend to continue my care. Being able to see light at the end of the tunnel, so to speak, after such great hope for total improvement. Realizing that it took years to get this way I know it won’t be possible to get “fixed” overnight although the very first treatment I had great relief. In the past, it was extremely difficult to get up form a kneeling position and now I find it less possible and find it less difficult at this time such as getting into the bottom of the cabinets, etc. I hope that anyone, who has osteoporosis and is afraid of being treated, can be helped as I have. PS : Coming to this office with the friendly staff makes it even better. It is so nice to be greeted in such a friendly manner! I’ve had headaches, neck pain and low back pain for as long as I can remember. I’ve used over-the-counter things, prescription medications and warm compresses. I’ve been using them daily. I’ve haven’t had a headache since the first week of treatment. And the neck and back pain are gone. I’m happier and feel better. My bowling and golf have improved, as well as my physical strength. I came to see Dr. Swolensky after witnessing the amazing results my aunt had in his office. I had no control of my life. I was a ‘tripping zombie’. I suffered from severe migraine headaches, fibromyalgia, rheumatoid arthritis and osteoarthritis and spent most of the day in bed. Life was really non-existent for me. In just 7 weeks I have gone from 31 different pills to 4. I have 90% less pain. I also lost 20lbs in those 7 weeks. I am a totally and completely different person. It’s like a night and day difference. I decided to see Dr. Swolensky because I’ve suffered from migraine headaches for longer than I can recall. I checked his office out on the computer and liked what I saw. Since being care I haven’t had a migraine in 12 days! I came to see the doctor suffering with migraines, neck pain, back pain and sciatica for years. I’ve also been overweight, but unable to lose the weight. After only three visits, all my pain is decreased! After about six weeks of doing his digestive program, I have more energy and have lost more than 30 pounds. I’ve had constant headaches for 14+ years. A friend was sharing his results with Dr. Swolensky and his problem sounded the same so I thought I’d check it out. My headaches are gone and I’m able to do the things I love and not have to stay in the house because of headaches. Life has Changed – Enough Said! I have been suffering from headaches for so long I can’t remember a day when I was actually headache-free. I started seeing Dr. Swolensky about one month ago. I am completely headache-free now. I have better and have more energy. I feel less stressed and am also sleeping better. I have found this to work directly on the problem, and not just the symptoms. I’ve had headaches and migraines almost daily since I was a child (I’m now in my 30s). After seeing Dr. Swolensky for only a couple of treatments, I haven’t had a headache in a whole week! It all started when I was driving and a truck ran a stop sign hitting the drivers side door of my car. I had several broken ribs, a bruised lung, broken clavicle and extensive bruising. I guess it could have been much worse. What I didn’t expect was the pain would go on long after the bruises and bones healed. Prescription medication helped during the healing process with pain. But once I went back to work they were way to strong. I thought the neck pain and headaches would eventually go away. But in fact, it got worse with time. Trying to seek relief, I saw doctor after doctor. I received test after test. That lasted for 4 years! I had, x-rays, EMGs, MRIs. The doctors admitted there was something wrong, but said it shouldn’t be causing all the neck pain, headaches, or inability to turn my head to the left. In the end I was told it was something I’d just have to live with. I thought NO WAY! Almost 5 ½ years after the accident, I got a flyer from a crusader, disguised as a chiropractor telling me about chiropractic care. I set up an appointment, received a thorough evaluation and he told me he could help. Finally! Someone who knew what to do! I felt immediate relief after the first treatment! I slept through the night for the first time in years. My headaches were gone by the second treatment. I can now turn my head without any pain. All thanks to Dr. Swolensky. I have had such severe migraines that I could even function. I would be down for days at a time and not able to get out of bed. I’ve had a 180 degree turn around in my life. I can finally participate in life again. Thanks Dr. Swolensky. I started seeing Dr. Swolensky because he is on my route (I’m a Fed Ex driver). 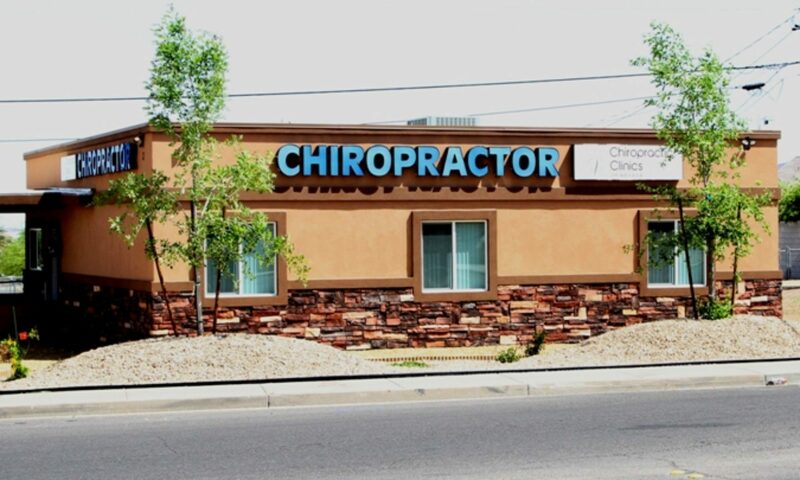 On the first visit I told him I was glad I came into the office because it was unlike any chiropractic experience I had before. I wanted total healthcare. I lacked energy, flexibility and had weakness in my legs. All of these have changed so much since I started seeing him! The energy is great and using the Footlevelers helped strengthen my legs. I have slipped, degenerative and herniated discs in my neck. I have had this problem for twelve years. I sleep approximately four hours each night due to the searing pain. I have pain and loss of mobility in my neck, right arm and right had and constant headaches. I was diagnosed with carpal tunnel syndrome and put through a series of painful cortisone shots in the elbow. I have been told that I need surgery on my spine, which I refuse. I have been prescribed Soma, Lortab, Zoloft, Percodan, Demerol and ibuprofen, just to name a few. I have spent endless hours in physical therapy, which interfered with my job so I had to quit (physical therapy, not my job). If I listened to the many doctors (at least seven) throughout the years I would be disabled and so spaced out on drugs that I wouldn’t be able to function. I was sleeping only four hours a night due to the pain and have had a constant headache for the last 12 years. I have not been able to water ski, bowl, play baseball, etc. anything that requires swinging motion with your arm. Since I had always been athletic it has been a real cramp in my style. It wasn’t until I visited Dr. Swolensky that I finally have relief from the headaches! I noticed the difference after only my third adjustment. With continued chiropractic care, I am now looking forward to a life free from pain without surgery. Dr. Swolensky is very thorough and teaches his patients as he treats them. He makes sure you understand your problem and the treatment process. I decided to do Dr. Swolensky’s enzyme therapy after spending the last two years battle serious yeast infections. Previous programs I tried only achieved minimal success. The yeast infections and Epstein-Barr virus symptoms have been so bad they have affected all aspects of my life. It took only two weeks to notice a significant reduction in my symptoms. I felt increased energy, better digestion, and improved sexual function. Now after more than a month, I’ve had no Epstein-Barr flare-ups, which were happening at least monthly before. Before starting with Dr. Swolensky I wondered if my health would ever improve. Now I’m more confident that things will only continue to get better. Every February for the past 13 years that I can remember (even before, I’m sure) I get a bad cold and the flu. Last October, I started taking a supplement from Dr. Swolensky each morning. I have not had a problem with the flu or getting a cold. It’s ironic because I’m around people several times each week and many have had the flu or a cold. This has been the first February I’ve gotten through healthy! I started Dr. Swolensky’s digestive program to lose weight. Since, I’ve lost 47 lbs and have much more energy! I started seeing Dr. Swolensky because of his special work with enzymes and nutrition. I’ve already lost 12 pounds. I came into see Dr. Swolensky because of pain in my leg, ankle and foot, as well as numbness and swelling. Since I saw him my leg, ankle and foot feel so much better and the swelling in my leg had reduced. I have a very good feeling that by continuing with Dr. Swolensky I can permanently reverse the aches and pains I thought were from aging! My wife’s medical doctor referred us to Dr. Swolensky because my wife had neck pain. On a different note due to my wife’s kidney problems we were told she would need dialysis. Shortly after starting treatment with Dr. Swolensky the kidney doctor said her kidneys improvement was unbelieveable and are doing so good dialysis wasn’t necessary. I decided to see Dr. Swolensky because of severe neck and shoulder pain, as well as low back, mid back pain and bursitis in my right hip. After my very first treamtent I had a 40% increase in my neck range of motion. I am so much better now, I wish I had known about him and his services years ago. God bless this man, his techniques and the ProAdjuster! I started seeing Dr. Swolensky due to Fibromyalgia. My sleepy was horrible. I also have gained weight from chemotherapy. Since I began his enzyme program I’ve lost over 30 lbs. and can actually sleep at night. I decided to see Dr. Swolensky because my wife has been under his Wellness program. My fingers have been numb for years. This is a problem because my grandson and I enjoy fishing. I had to buy pre-tied hooks because I couldn’t tie them. Since starting care I’ve been able to start to tie knots again. I had major stress due to my job as a truck driver and severe pain in my neck and shoulder. The combination of these made me very irritable and short tempered. I no longer have any pain in any part of my body and my stress has diminished considerably. Life is now GREAT! I’ve tried other alternative approaches with little or no results. Dr. Swolensky has addressed what I thought my problems were all along: Poor digestion and toxicity. The enzyme therapy is tremendous! Life is good again! My cardiologist prescribed a cholesterol drug called Zetia. I prefer natural solutions to prescription drugs. I’ve been following Dr. Swolensky’s digestive program and when I went back for a follow-up blood test my cardiologist was surprised how good my blood work looked. I told him I was following Dr. Swolensky’s digestive program. He said keep it up! I’ve had numb knees since knee replacement surgery a couple years ago, chronic back pain with spasms (3 strong narcotics have been prescribed) and constant migraines. I’ve felt like a zombie and sleep all the time. I’ve been seeing the doctor for two weeks and can walk better, my knees are waking up and I’ve taken myself off the pains meds. I’m no longer sleeping all the time. Before I had to go in a wheelchair everywhere. NO MORE. Now I ride a bike and walk for the first time in years. I came in to see Dr. Swolensky because of neck and low back pain. I also had numbness and pins & needles in my left hand. I’ve tried several other things to relieve my pain and increase my function. Since seeing Dr. Swolensky I am able to sleep better and have more energy. The improvement in the neck and low back, as well as the improvement in my left hand has been GREAT! I started seeing Dr. Swolensky after moving into the area. Since seeing him I feel better than I have in years! I have no pain and that makes for a GREAT day. I would recommend Dr. Swolensky to anyone who wants to live a quality life. I was in an accident at work in March 1993, which caught my hair in an air drill. It hurt my neck and lower back. They took x-rays and finally, they did a MRI on me and said I would have to have surgery. So I did have surgery in December of 1994. After the surgery I had headaches and back pain and was unable to work. Since seeing Dr. Swolensky, I feel better than I had for 7 years and I can stand straight, which had been impossible because my lower back gave me tremendous of pain. He has helped me a lot. I know I still have a long way to go, but he really has helped me so much. The other doctors I’ve seen just gave me pain pills that made me sick to my stomach and did not help me at all. When I had surgery, it gave me more trouble than I had before. Do to the surgery I can’t sleep on my stomach (that’s how I had slept for 43 years), I had trouble swallowing food (it gets stuck in my throat) and I even had trouble drinking liquid. I wish I never had the surgery. I wish I would of met Dr. Darrell C. Swolensky before I went through all the pain and trouble I had following the surgery. The doctor that did the surgery told me it would help with 80% of the pain I was having plus he told me if I tripped or was in an accident I would be paralyzed. So I was scared and had the surgery, it didn’t take away the pain but it did give me more problems. Surgery is not always the best thing to do. If I could go back and do it over again, I would never have let them do surgery. I know other people that have had this surgery like I had and they have had 2 or more of the same surgery and the doctors have told them that they need more surgery to get it right. I’m not willing to let them cut on me again. Thank God for Dr. Darrell C. Swolensky, he has helped me the most. In September 1998, I had a car accident. The damage to the car didn’t look like so much, but the pain and suffering I had to endure because of it became almost unbearable. Immediately, almost an hour after the accident, I started feeling the severe pain in my head and from the upper back to the lower back. By morning, I couldn’t even get up out of bed. It hurt all over. My neck was stiff, as was my whole back. I noticed a physical change in my neck. I had these two large lumps in the base of my head, which since care with Dr. Swolensky now have disappeared. Well, if it wasn’t encouraging to me, I don’t know what would be. Those lumps had been a part of my anatomy since my 1998 accident. I was impressed! I continued my care for the next 2 months when I experienced the greatest accomplishment yet. The extreme pains in my head that I experienced 4 to 5 days a week, for years, had gone to minor headaches and sometimes, no headache. I was able to stop taking the pain pills I had been taking for nearly three years now. Cold turkey! I continue to have own success with care, but I know I still have a ways to go before I can be on my own. Even when that day comes I will still maintain healthy spine with Dr. Swolensky. In 1997 I was treated for a rare disease and prescribed Prednisone. The medication was used for about one year with little results. About one year ago I started seeing a chiropractor who was using only Ultrasound. A friend of my daughter was talking about the great results she was getting from Dr. Swolensky. My wife began care and after I saw results in her I decided to give it a try. Before I started care walking was very difficult because my legs hurt very bad and I needed to rest often. Since starting care with Dr. Swolensky I very quickly noticed my leg pain significantly improved and can walk at least twice as far without resting. I continuously see things improving. For many years I had to be very careful how I slept. Being extra careful to keep my head and neck very straight. If, during the night I twisted the neck or grabbed a pillow that was too thick, I’d wake up in the middle of the night or in the morning with an excruciating head/neck ache. I could hear/ feel the blood pounding in my head. I’d have to get up to take ibuprofen or aspirin and hope it calmed the pain down. This didn’t always work. Often the headache would persist until evening. While this wasn’t an everyday occurrence, it had been going off and on for 26 years. I began chiropractic treatment with Dr. Swolensky for a related problem. Last night, after being under he care for a couple months, I woke up with that blood pounding sensation once again. However I was able to change positions and actually hear and feel the problem fade away. I arose in the morning feeling fine without pills. I attribute the change to chiropractic care. No doubt about it. My condition started with neck and back pain with headache that slowly turned into numbness on my left side of my face. I have been suffering from my problem occasionally for about a year. I tried using over the counter medicine to take away the pain, headaches and numbness but it would only go away for a while and then it would come back. The pain from my headaches was up the left side with a sharp aching pain and the numbness had an effect with my speech. The pain in my lower back was so painful sometimes I could hardly move. The suffering form this problem made me feel much, much older than 25. It would ruin my day! When I would play games with my son, it was hard to sit a long time or to run and play. It was also hard to sit and do some of my hobbies. The headaches would interfere with everything, even with trying to sleep. Now since I have been going to Dr. Swolensky, I feel a lot better. I no longer have the numbness from headaches. I still have a few headaches but nothing like I had before. The pain in my lower back is slowly going away. I’m going to keep coming until I feel 100% better. You couldn’t ask for a better doctor to make you feel better than Dr. Swolensky does. When I started seeing Dr. Swolensky I didn’t have any pain in my neck or back and I wasn’t in a car wreck. I do have a skin allergy called eczema. I have had it since I was four years old. I am now twenty-three. Growing up, my mother took me to every doctor in Las Vegas, read every book about it and even took me out of state to clinics. I went to Loma Linda Hospital located in California and also the National Jewish Hospital for asthma in Denver, Colorado. I stayed at the National Jewish hospital for 6 months by myself when I was 10 years old. While in that hospital, I saw countless numbers of dermatologists; I tried a number of different therapies. I also attended therapy. When I left that hospital, they told me that if they could knock my out for 6 months that my skin would clear up. The doctors showed me different therapies that I could do at home to keep the flare ups of eczema under control. Their diagnosis of my skin allergy was that I was a very stressed and nervous person. The doctors said that I wasn’t really allergic to anything in particular. They felt that when I hit puberty, it would clear up. I am long passed puberty and I still have flare ups of eczema. I have been on a number of antibiotics and steroids to help keep my skin under control. I am currently going to college to be a teacher. I also substitute in the school district. I am around elementary aged children everyday. These kids have so many questions about my skin. I don’t mind answering the questions; I just feel that the kids are a little uncomfortable around me. Every year in April, I have a really bad flare up. It is like clockwork. This year was different in many ways. During the month of March, I saw Dr. Swolensky three times a week. The difference was I didn’t flare up as serious as I usually do, I was also able to get my skin under control and into the healing process a lot faster than in previous years. During the month of April, I continued to see Dr. Swolensky. I feel a tremendous change in my nerves and the daily stress of my life. My skin is almost cleared up from this year’s flare up. My impression of the general health benefits of chiropractic care is why isn’t everyone going to a chiropractor. I wish that I had tried it a lot earlier in my life. Maybe then, there wouldn’t have been a need to spend the time and money on seeing different doctors and hearing the same diagnoses. Let’s not forget the heartache of my family of having to deal with the different bills and the emotional stress on them too. I’ve had constant daily migraine headaches. I feel miserable. I found the doctor on the internet and what he said seemed good. I haven’t had a headache in 12 days. I feel more positive and I’m certainly getting better and better. Thanks Doc! I was in a car accident and was seeing a local doctor only to still feel horrible. In fact, things were so bad I was having a hard time holding my six-month old bad due to the pain. I decided to change doctors and that is how I found Dr. Swolensky. Within an hour after seeing Dr. Swolensky I was able to play with my daughter more comfortably. The care he uses is so different from the other doctors I’ve been to. Knowing that Dr. Swolensky is there to help is very nice. I have bad headaches that lasted for three or more days straight, without any let up. Since seeing Dr. Swolensky I can once again take care of my home and husband without pain. I am sleeping better and my attitude has changed so much. I’m excited about doing things and going places. I also am able to walk around all day! For so many years I have had to be very careful at night about how I slept. If I turned my head or neck I was sure to have a massive headache in the middle of the night or wake to excrutiating pain. I could hear the blood pounding in my head. Often the headaches would last all day into the evening. It wasn’t every day, but it sure was close. This last for 26 years. I’ve only recently began seeing Dr. Swolensky and already things are so much better.